You don’t make music for immortality. You make music for the moment—of capturing the sheer joy of being alive on Planet Earth. Wow! Is this fun! This is—this is just the greatest. It’s the best. Everybody should live (life) that way. Ray Manzarek’s organ and keyboard-bass playing and—often uncredited—background vocals propelled the Doors to astronomical heights in the rock ‘n roll industry. Wearing well-groomed suits with his trademark glasses, he looked more like a businessman than your everyday rock musician. Sadly, Ray passed away on May 20, 2013 at the RoMed Clinic in Rosenheim, Germany. He was 74 and had battled bile-duct cancer. Raymond Daniel Manczarek, Jr. was born on February 12, 1939 in Chicago. He was the oldest of three brothers. Ray remembered in a 2009 interview with L Studios that he learned to play the piano during the late 1940’s or early 1950’s. His lessons were held at a studio above Strauss’s Bakery in the Windy City. Ray’s instructor was an elderly man with a German accent. Ray couldn’t recall the title of his red music book or the name of a certain Native American Indian song, though he said he used the song’s bass-line for the Doors’ song Lions in the Street. Ray graduated from Everett Elementary School and from St. Rita High School in Chicago. He continued his studies over at nearby DePaul University, and received a bachelor’s degree in Economics. After a brief stint of playing piano for the Army in Okinawa and Thailand, Ray returned to school. He began his film degree at the University of California—Los Angeles (UCLA) in 1962. There he met a bibliophile and a fellow film student who would play an essential part in his life—James Douglas Morrison. Upon his arrival at UCLA, Ray joined his first band—Rick & the Ravens. Ray’s two younger brothers Rick and Jim Manczarek formed the rock group. Rick played guitar while Jim performed on harmonica. Ray played keyboards and sang vocals. He went by a variety of rock pseudonyms including “Screaming Ray Daniels.” Songs the Ravens performed included Soul Train, Big Bucket T and Henrietta. In June of 1965, Ray approached Jim Morrison about performing with Rick & the Ravens. The band, according to Jerry Hopkins and Danny Sugerman (who co-wrote the bestseller on Jim titled No One Here Gets Out Alive), were the opening act for Sonny and Cher at a high-school graduation. Rick & the Ravens were under contract to have six musicians, and they only had five. In order to get paid, Ray asked Morrison to join the band and “play” an electric guitar. “Don’t worry,” Ray told Jim, “we won’t even plug (the guitar into the sound system).” Little did anyone know at the time, but a door of opportunity opened for Jim Morrison. After an invite by Ray, Jim Morrison joined Rick & the Ravens as their new singer. Around the same time, a new drummer named John Densmore—who performed in the Psychedelic Rangers—and a bass guitarist named Patricia Sullivan were also added to the lineup. In September of 1965, the band recorded six songs Jim Morrison wrote including Moonlight Drive, Go Insane and Hello, I Love You. Disgusted with Morrison’s songs and his “unprofessionalism”, Rick and Jim Manczarek and Patricia Sullivan left the Ravens around that time. Rick Manczarek was replaced by Psychedelic Rangers guitarist Robby Krieger, and a new band—the Doors—was born. With two of the three Manczarek brothers out of the band, the name Rick & the Ravens was dropped. (Rick Manczarek, though with an entirely different lineup, started up Rick and the Ravens once more in 2011.) Robby Krieger and John Densmore became the band’s newest members. Their bassist Patricia Sullivan soon left the updated group as well. Instead of finding someone to replace Sullivan, Ray began playing a keyboard-bass. He would play on a Fender Rhodes keyboard-bass with his left hand and on either a Vox Continental or a Gibson G-101 organ with his right hand. Ray would continue this trait during concerts and many of the recording sessions. The band would hire an occasional bass player to assist on their studio sessions. One bassist was Jerry Scheff who played and toured with Elvis Presley. Jim Morrison suggested to Ray about calling their band the Doors. Jim got the name from Aldous Huxley’s 1954 novel The Doors of Perception, as well as a quote from the British poet William Blake’s The Marriage of Heaven and Hell: “If the doors of perception were cleansed everything would appear to man as it is, Infinite.” The Doors started performing at the Whiskey a-Go-Go out in West Hollywood in 1965. Their first appearance was with the British band Them (with a singer named Van Morrison, who wasn’t related to the Doors’ singer). Around this time, Ray dropped the C from his last name. 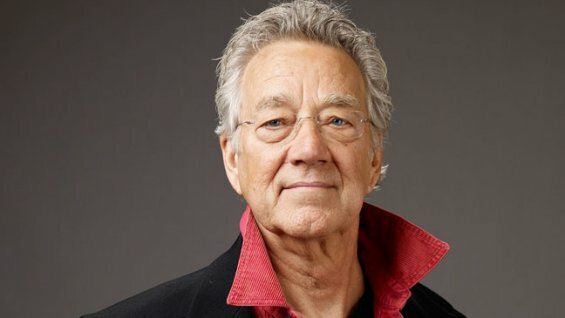 He was billed as “Ray Manzarek” for the rest of his personal and professional life. The Doors’ competitors in the 1960’s rock industry included the Turtles, Love, the Byrds and the Lovin’ Spoonful with John Sebastian, who composed the theme for Welcome Back, Kotter. The British invasion in America occurred a year earlier in 1964 with a band from Liverpool, England—the Beatles. The Rolling Stones and other British groups soon followed the Fab Four. The Doors’ self-titled album debuted in January of 1967. Break on Through and Soul Kitchen were their first songs on the album. The End, a controversial song regarding the Oedipus complex, concluded on side two. But the Doors’ biggest hit came from their guitarist Robby Krieger: Light My Fire. Each one of the four Doors contributed to this classic tune. Robby wrote the first verse and the first line of the second verse and played flamenco guitar. John Densmore used both jazz and Latin influences on his drums, while Ray hammered out styles similar to Johann Sebastian Bach and Ray Charles on keyboards. Jim Morrison sang Light My Fire in a Chet Baker voice and ad-libbed the remaining three lines of second verse. Six months later Light My Fire appeared as number one on the Billboard charts. Artists who recorded covers of this song included Jose Feliciano and Shirley Bassey. With the success of their self-titled debut album and Light My Fire, the Doors released their second album in October of 1967. Titled Strange Days, it featured a cover depicting a circus sideshow with a Doors poster in the background. Jim Morrison, whose face was shown ten times larger on the first album than his bandmates, wanted all four members to be on “equal” terms. Songs on the second album included the title track, Moonlight Drive, My Eyes Have Seen You and When the Music’s Over. The Doors’ popularity soared. Rock critics compared them to the American equivalent of the Beatles and the Rolling Stones. The year 1967 turned out to be a banner one for the Doors. To cap off the year, Ray wed his long-time girlfriend Dorothy Fujikawa on December 21st. The couple stayed happily married for over 45 years. The best man and maid-of-honor for the occasion were Jim Morrison and his girlfriend Pamela Courson. The Doors’ third album Waiting for the Sun debuted in July of 1968. Their song Hello, I Love You became a number-one single in the United States and Canada. Other songs from the album included The Unknown Soldier, Spanish Caravan and Five to One. The Doors toured Europe during that summer with Jefferson Airplane. While in Amsterdam, Jim Morrison swallowed a large amount of hash before a show and collapsed on stage during the Airplane’s performance. The other three Doors performed later that night without Jim; Ray sang in Jim’s absence. A March 1969 concert at the University of Miami derailed the Doors for a while. (Jim Morrison was charged with public drunkenness and exposing himself at the concert; he was posthumously pardoned by Florida governor Charlie Crist in 2010.) Following Miami, many cities either canceled their shows and/or made the band post a $5,000 bond before they could perform. Though Jim disliked performing at outdoor shows, the Doors didn’t have any choice in the matter. Their last show (with Jim singing) was in December of 1970. The Soft Parade was the Doors’ fourth album, released four months after the Miami incident. Two more albums followed—Morrison Hotel in February 1970 and L.A. Woman in April of 1971. Songs from those albums included Tell All the People, Peace Frog, Roadhouse Blues and Riders of the Storm. A month before L.A. Woman’s release, Jim Morrison left the band to write poetry and be with his girlfriend Pamela Courson in Paris, France. Jim never returned to the United States; he died in Paris on July 3, 1971. Pam Courson passed on in 1974. The Doors continued as a trio with Ray singing lead and Robby Krieger assisting at background vocals. All three surviving members wrote songs. Two albums were released: Other Voices in October 1971 and Full Circle in July of 1972. Though the Doors finally broke up in 1973, the band released its ninth and final album in 1978. An American Prayer consisted of Jim’s poetry and other recordings. Ray, Robby and John Densmore supplied the music. Ray’s first solo project The Golden Scarab (1973) is an “electronic papyrus” which contains songs about Egypt (with Solar Boat and the title song) and songs referring to politics (Choose Up and Choose Off). His other three solo albums were: The Whole Thing Started with Rock & Roll Now It's Out of Control (1974); Carmina Burana (1983); and Love Her Madly (2006). Ray formed another band called Nite City during the late-1970’s; he produced Nite City’s two records. Within the last dozen years of his life, Ray tried to get the Doors back together with Robby Krieger. John Densmore opted not to join the revised group as their drummer. John also would not allow Ray and Robby use the Doors name or an updated version—the Doors of the 21st Century (or “D21C”). The band was eventually called “Manzarek-Krieger” or “Ray and Robby of the Doors”. At one point their most recent edition was known as “Riders of the Storm” (a well-known Doors song and—ironically—the title of John Densmore’s 1990 autobiography about working with the Doors.) Ray and Robby performed with numerous vocalists and drummers and two different bassists. But as of this writing, there is no information available on whether Robby and the band Manzarek-Krieger will continue to perform following Ray’s passing. However, Robby and John are planning to perform a tribute to Ray in the near future. A potential date may be set for February 12th, 2014, which would have been Ray’s 75th birthday. Ray Manzarek will always be known for his trademark style on keyboards. In a tribute to Ray, USA Today recently described his music as “carnivalesque…and hard to imagine Light My Fire without it.” A variety of emotions flowed from Ray’s fingers as he pounded the keys—from mysterious (Riders of the Storm) to excitement (Hello, I Love You). Sometimes he, Robby Krieger and John Densmore ad-libbed music to go along with Jim Morrison’s words as with the song Five to One. One social-media fan even compared Ray to Beethoven. Ray’s career was quite diverse as well as passionate. One could only hope to have a career to use his or her talents for over 50 years! Ray produced such albums as Los Angeles for John Doe and Exene Cervenka’s punk band X. (X did a cover on the Doors’ Soul Kitchen where Ray played keyboards and sang background vocals.) More recently, Ray played keyboards and keyboard-bass to Weird Al Yankovic’s parody Craigslist—as sung to When the Music’s Over. Ray put his UCLA film degree to good use. He directed student films with such names as Induction and Evergreen. Years later Ray continued his work behind the camera, making several films about the Doors including their 1968 tour of Europe and at the Hollywood Bowl. As an actor, he appeared as himself in Induction (1965) and as “Charlie Simbo” in the 1983 Chevy Chase comedy Deal of the Century. Ray also wrote an autobiography about working with the Doors called Light My Fire (1998). He authored two other books: The Poet in Exile (2001) and Snake Moon (2006). His Vox organ and Fender Rhodes keyboard-bass have drawn silent since Ray’s passing. But the Doors live on in CD’s, DVD’s, tapes and even those vinyl records. Their music is still heard on the radio, through film soundtracks and by bands performing covers of their songs. The Doors were inducted into the Rock ‘n Roll Hall of Fame in 1993 and have a star on the Hollywood (CA) Walk of Fame. Oliver Stone directed a 1991 film biopic on the band. Aptly titled The Doors, Jim, Ray, Robby and John were portrayed by Val Kilmer (“Ice” from Top Gun), Kyle MacLachlan (Twin Peaks), Frank Whaley (Pulp Fiction) and Kevin Dillon—Matt’s younger brother who’s best known from the Entourage series. Ray Manzarek is survived by his wife of 45 years Dorothy, son Pablo (Sharmin), three grandchildren and his brothers Rick and Jim Manczarek. Condolences are also extended to Robby Krieger, John Densmore and fellow bandmates—for whom Ray had the opportunity to perform with from Rick & the Ravens to Manzarek-Krieger—and to all Doors fans worldwide. According to David Dutkowski the Webmaster on Ray’s Facebook page, the Manzarek family has expressed to the media to please respect their privacy during this difficult ordeal. In lieu of flowers, donations in Ray’s name would be appreciated to standup2cancer.org. Eric Plaut has been a freelance writer for the past several years. His artistic talents also include graphic design and illustration. He has degrees from both the University of Wisconsin-Whitewater and Columbia College in Chicago. Eric’s interest in the Doors, the Beatles and other 1960’s bands goes back over 25 years. His favorite song of all time is the Doors’ Hello, I Love You which he once sang at his college roommate’s wedding. He resides in the Midwest.